Sometimes it’s a breath of fresh air to take a walk through the woods and not have to worry about the police showing up. 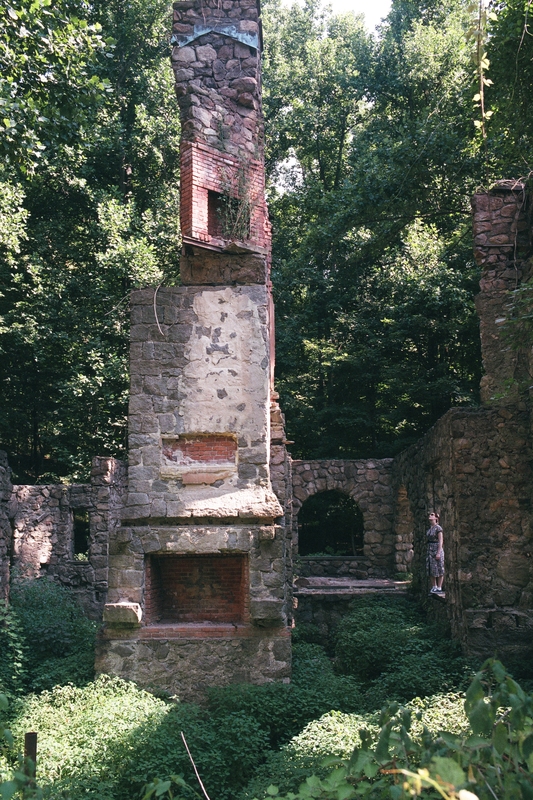 Hidden away in the forest are a small collection of ruins from the Cornish Estate (otherwise known as Northgate the the people who lived there). In 1917, Edward J. Cornish and his wife, Selina, purchased the 650 acre estate from a Chicago diamond merchant Sigmud Stern, who had built the estate 5 years earlier. At the time, the area was subject to intense mining projects, ones that threatened to destroy the face of nearby Mount Taurus. Edward, whose home was close enough to the quarries that it shook with every blast, began to worry about protecting his property as his health began to fail in the 1930s. He offered his estate for sale to the Taconic State Park Commission in 1936, however they declined claiming that the site was “not at all adaptable for a park area,” despite developing parks on several properties nearby (I’m going to take a wild guess that they soon regretted that decision).